As a horror writer I don't ask for much. I just hope I've changed the way you think about life. 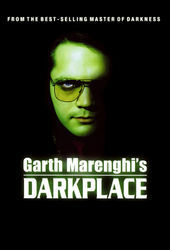 An amazingly accurate open for the British series Garth Marenghi’s Darkplace, a show that lampooned 1980s' television drama, particularly horror and sci-fi.